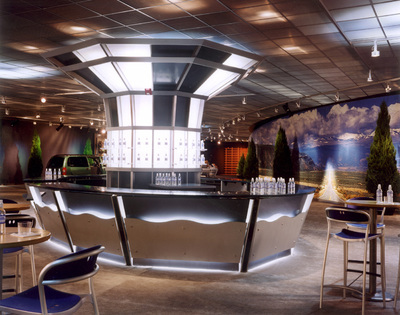 Designer: Haverson Architecture and Design P.C. 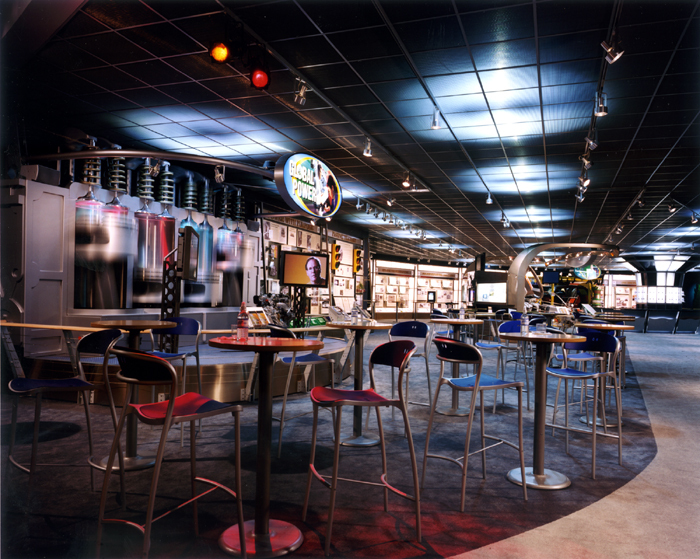 Everyone who attended the GM Experience at the North American International Auto Show will enthusiastically recall the stimulating displays and exhibits that were essential components of the General Motors Experience Cafe. 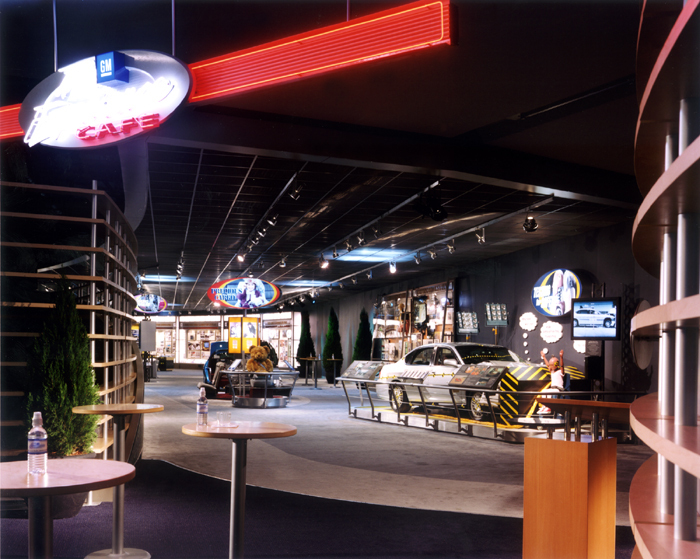 Located on the gallery level, the Cafe offered guests an unexpected opportunity to relax, enjoy a refreshing bottle of mineral water and view the auto show from a unique vantage point. The space, which wrapped around the GM Experience Theater, was devoted to telling the story of how General Motors is shaping the future through advanced technology, caring about the environment, and sensitivity to the special needs of their customers. 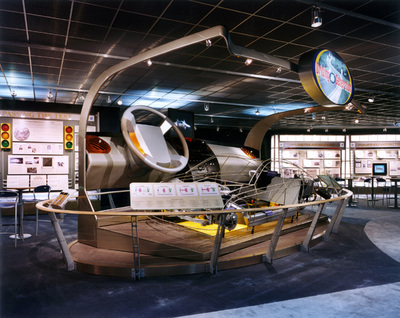 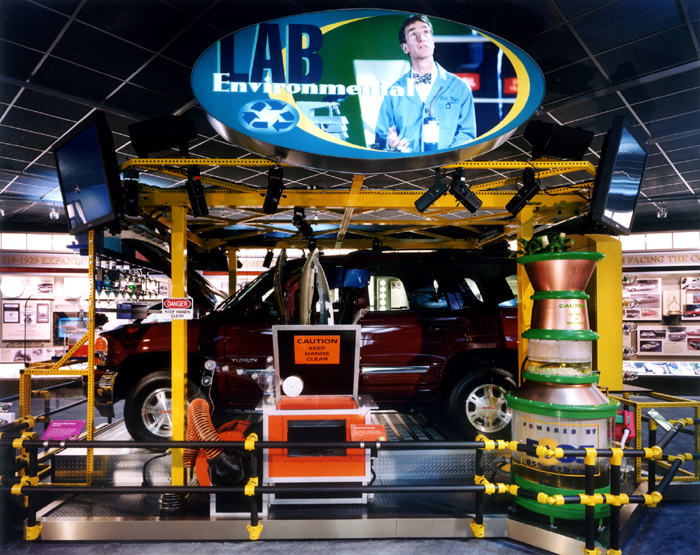 It featured relevant, entertaining displays and interactive exhibits that demonstrate innovations and new initiatives attributed to various divisions and constituents within General Motors Corporation.